Ceramic Tile Saw Wheel offeredare developed to provide for best sawing support and can be used in both wet and dry sawing operations. With the wheels designed in compliance with international quality standards, these are available in abrasion resistant finish and provide for longer service life and faster cutting support. We are the leading supplier and the exporter of the Ceramic Cutters / Ceramic Scissors for Schlafhorst Autoconer 238, 338 & AC5, Savio Espero, Savio Orion, Murata 21C, Murata 7-2, Murata 7-5 Model Autoconer machines as a Ceramic Cutters. 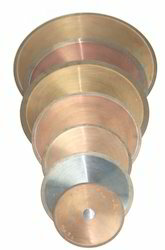 Our product range also comprises with the supply of Flocked Clearer Roller for the Spinning Application. 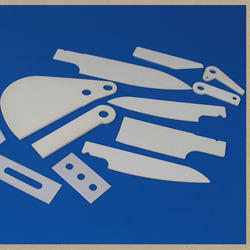 ceramic cutters & Ceramic Scissors are made of the high-tech ceramic, zirconium oxide, which is second in hardness only to diamonds. The exceptional hardness of these ceramic cutters enables them to stay sharp over a much longer period than conventional steel cutters. We are Authorised Indian Reresentative for EKOTEKS.A.S Turkey, Who are the manufacturers of Ceramic Cutters and Complete range of Ceramic Products .